Zhongyu “John” Li, MD, develops fixation devices to improve and advance upper extremity reconstruction by using his expertise in peripheral nerve repair, microvascular reconstructive surgery and complex upper extremity trauma management. He collaborates with industry to advance surgical instrumentation design and explore alternative approaches that enhance upper extremity functional restoration. Zhongyu “John” Li, MD, was first exposed to nerve injury and reconstruction during his early medical training in China. He earned a medical degree at Zhejiang University School of Medicine followed by a master’s degree in microsurgery and fellowship in hand and microsurgery at Shanghai Medical University. In 1997, he received a doctoral degree in neuroscience at Wake Forest School of Medicine, where he studied hand circulation and pain. He completed a residency in orthopaedic surgery at the State University of New York at Stony Brook and a fellowship in hand and upper extremity surgery at Wake Forest School of Medicine. 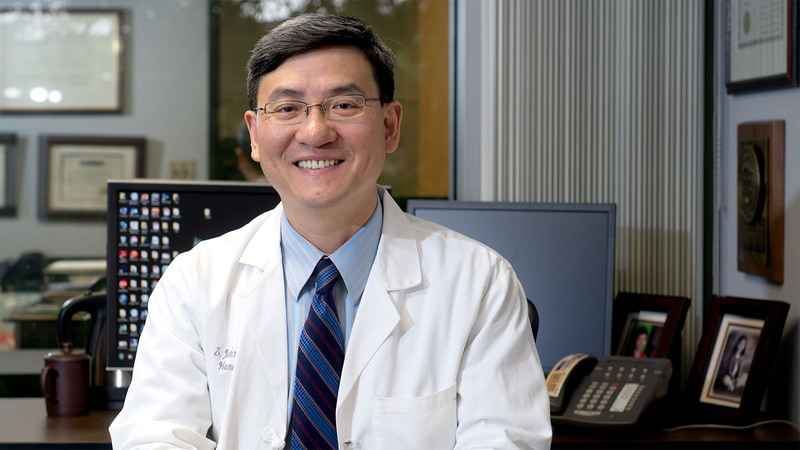 In 2005, Li joined the School of Medicine’s orthopaedic surgery department to focus his research and clinical efforts on peripheral nerve repair and regeneration. Li’s clinical expertise in nerve injury, hand and upper extremity reconstruction, compression neuropathy and peripheral vascular problems extends into his efforts to design fixation devices. Working with the biomedical engineering team at Wake Forest Innovations, he invented an intramedullary nail for radial head and neck fracture fixation that converts the fractured radial head into a natural implant. The design of the nail provides strong biomechanical fixation and a near-zero hardware profile, simplifying the procedure and restoring elbow function without associated complications. He also designs fixation devices and plates for hand fractures and injuries. Through widespread clinical trials research initiatives, Li studies new approaches for nerve repair and reconstruction associated with major extremity trauma and peripheral nerve regeneration. He also researches the effect of fixation devices on hand trauma and participates in government grants examining the impact of Keratin biomaterials and stem cell tissue engineering to enhance nerve growth. Identifying and advancing new surgical techniques and instrumentation to improve the quality of nerve repair and extremity functional recovery is central to Li’s collaborations. He partners with industry to evaluate and develop fixation devices, advise on instrument design and study alternatives for nerve regeneration and limb reconstruction. This novel intramedullary nail repairs complicated radial head fractures using a design that eliminates the need for additional trauma plates, radial head resection or open reduction internal fixation that usually are required to fix complex radial head fractures.